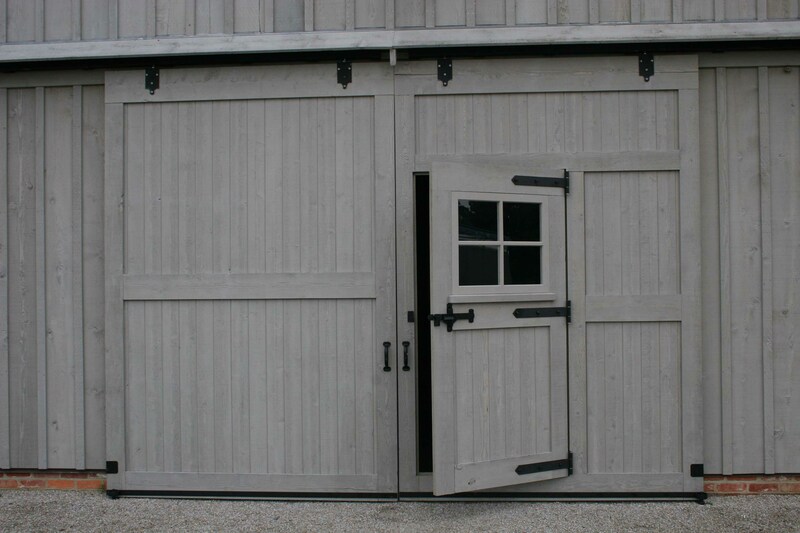 The longevity of stable and barn door hardware is essential to the proper operation of doors. Most barns and stables are exposed to a variety of elements and temperature conditions throughout the year. During the colder winter months, doors tend to experience some shrinkage. In the warmer summer months, doors can swell slightly. It is important to choose high quality door track systems and hardware made from rugged materials with weather resistant features. Door Hardware that is powder coated provides years of dependable service for indoor and outdoor applications, but there are other alternative finishes as well. Zinc-plating is an alternative finish to powder coating that holds up well under exterior applications or tough interior conditions. Galvanized finishes are even more durable than zinc-plating and are used in harsh weather environments or where oxidation may be a problem. It may also be preferred for a more industrial look for unique architectural applications. Stainless steel hardware is used in extreme or more caustic environments, or where the look of stainless is desired. A good example of an extreme environment is a coastal application where hardware is exposed to salt water mist. Doors, sliding tracks, and hinges should always provide a smooth function and never stick, be difficult to move, or require excessive force. Our hardware is designed to provide proper operation in a variety of temperatures, weather conditions, and environments. Richard-Wilcox Hardware Solutions has been providing premium quality specialty barn door and stable door hardware for over 130 years. 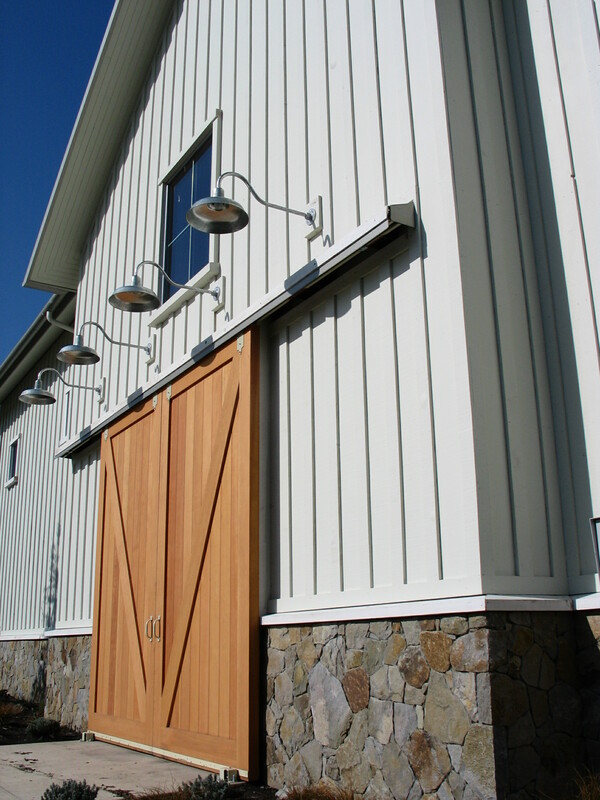 Our company was founded on the principle of providing effective solutions for stables, farms, and barns. We offer one of the best warranties in the industry and are confident in the quality of our products. We stand behind them for a full ten years! The weight of the door is an essential aspect for helping you choose the best hardware to use, regardless of whether the door is hung on a swinging hinge or is part of a sliding door track system. Light-weight door hardware solutions are well suited for doors weighing under 200 pounds. As the weight of the door increases, it places greater stresses and strains on the attached hardware and requires heavier-duty door and sliding track system hardware. Here at RW Hardware, we offer a complete range of hardware, from light-weight to heavy duty solutions for all door weights up to 5,000 pounds. We also offer a variety of accessories and other door components for a complete door solutions, including numerous swing hinges for wicket, Dutch, and swing doors, door and floor stops, pulls, bolts, latches, bumper shoes, and security hardware solutions. 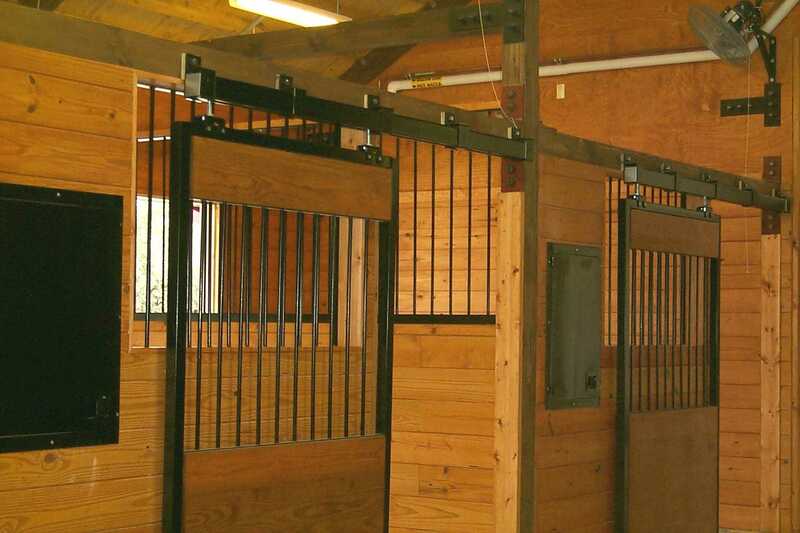 For further assistance in selecting the most appropriate swing door hardware and sliding door track systems for your barn, farm, or stable, please feel free to call RW Hardware at 800-253-5668 now. We offer a variety of hinge and track system designs, whether you are looking for a rustic, traditional appearance or a more modern design.